Seafront location overlooking the picturesque Bangor Marina. 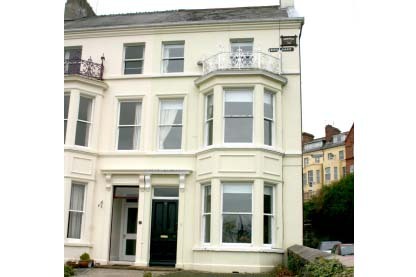 A Large Victorian end of terrace villa. It occupies a spendid elevated site with panoramic views over Bangor Marina, the Antrim Coast and on clear days the western isles of Scotland. "Emmaville" is within easy walking distance of all of downtown Bangor's facilities and attractions. Its gardens run down to the famous Ulster Way coastal path.